Jay has also appeared on multiple television shows including his first one hour special “Live At Webster Hall” which premiered on Comedy Central in June of 2016 followed by his own half-hour special on Netflix which premiered in 2018 as part of the hit series “The Degenerates” . He is the host and creator of the all crowd work show “What’s Your F#$king Deal? !” which streamed on NBC’s Seeso. Other appearances include FX’s “Louie”, Comedy Central’s “Inside Amy Schumer”, “The Late Show” With Jimmy Fallon, Comedy Central’s “The Comedy Jam” & “This Is Not Happening” as well as the hit IFC show “Z-Rock”. Jay has recorded three albums, “An American Storyteller” and two volumes of “The Crowdwork Sessions” all available on Comedy Central records. 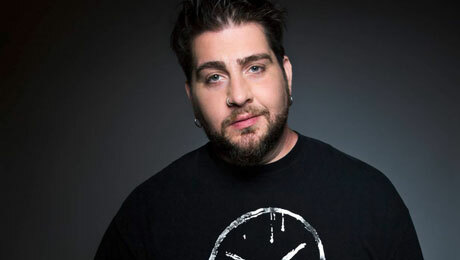 He is currently the co-host of The Legions of Skanks & The SDR Show podcasts on Gas Digital Network and of The Bonfire with Big Jay Oakerson and Dan Soder, on Comedy Central Radio on SiriusXM.